It isn’t every day that you get to play professional hockey. So when you’ve made it to the NHL, and get to skate on the big stage in your own hometown, that’s a pretty special experience. 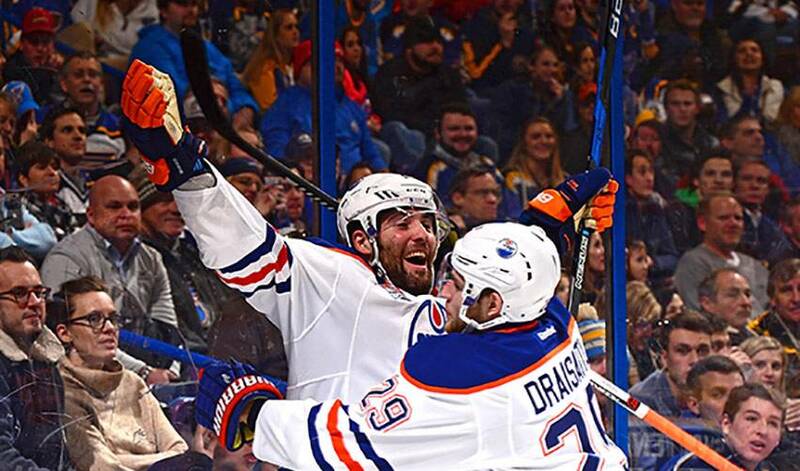 Patrick Maroon got to do just that on Monday, when the Edmonton Oilers rolled in to St. Louis. Making the occasion all the more special, Maroon scored the game-tying goal that eventually sent his team to an overtime win. There was one notable youngster sporting a Maroon jersey in the stands, who was particularly excited. That was Anthony Maroon, Patrick’s seven-year-old son. Gene Principe of Sportsnet caught up with Patrick post-game, and while congratulating his team on the win, showed him his son's reaction to his goal. It was undoubtedly quite the experience for Anthony to see his father score a goal, but "cool", as Patrick put it, would probably be an understatement for what it truly meant to the father, judging by his reaction here. Anthony was also in the stands to see his father’s first NHL goal, which came on the road in Nashville while Maroon was still with the Anaheim Ducks in 2013. It isn’t easy for Maroon, like most other fathers in the NHL, to be on the road so often and away from a young child, but he credits the use of FaceTime since his time with Ducks as a silver lining.